Vertex Conversion Valves are here! 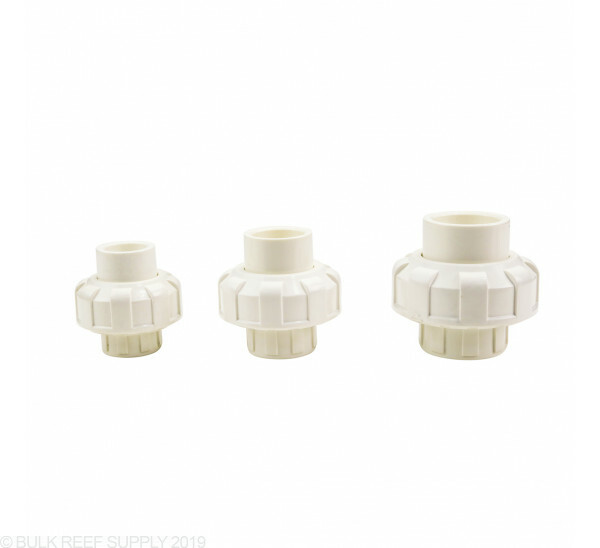 Now you can connect your plumbing with these quality valves which convert from nominal metric to standard U.S. When in doubt order extra. BRS happily accepts returns for a full refund (less shipping) on all unused fittings within one month of purchase. A few extra bucks in return shipping is less frustrating than a project delay. 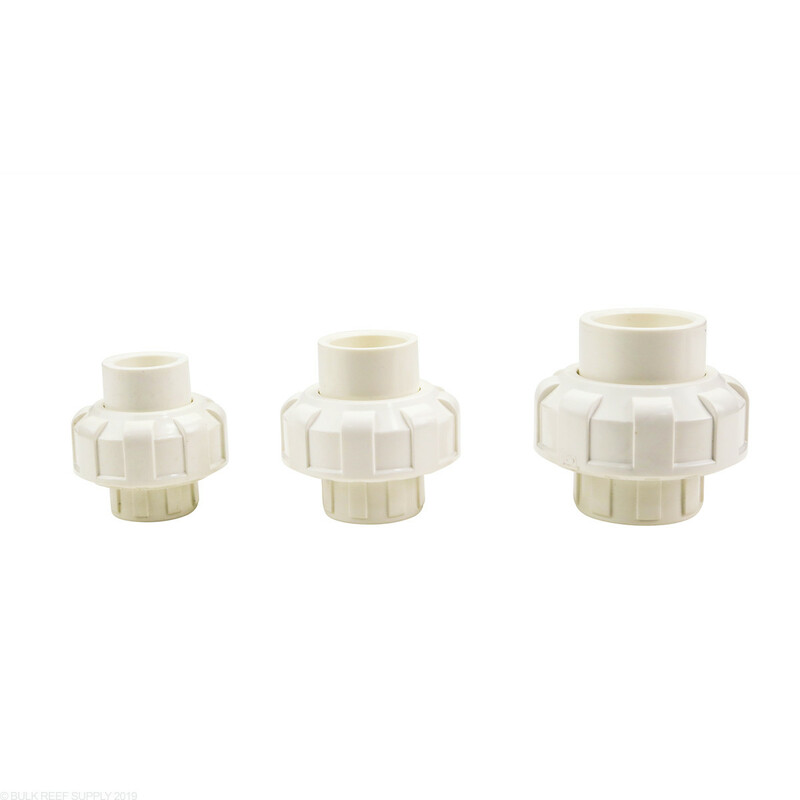 The conversion unions are slip x slip and will connect to both schedule 80 and schedule 40 pvc. Just to confirm to replace the couplings on the vertex 1.5L reactor, these 3/4" conversion unions will fit right? I will only need half of the Union since one half is glued to the reactor. Correct, these unions will be the direct replacement. Feel free to let us know if you have any further questions! If I wanted to connect 3/4" schedule 40 PVC pipe to my vertex 1.5 media reactor, is this the fitting that I would need? The 1.5L reactor will have a 32mm output size. You can use either the conversion union or valves to connect to this pipe. Are these required if you want to use a vertex sump and your 1 inch red PVC ? You are correct, you will need to convert the metric plumbing on the Vertex sump you our standard 1" using one of these unions. I would verify that their included plumbing is in fact metric first or that the conversion union isn't already installed for the US market as we do not have any of their recent models on hand.